Bruce performed the song during the wedding of Marc Brickman to June Rudley, Bruce's lighting director and travel agent respectively. Springsteen and members of the band join Rickie Lee Jones and Boz Scaggs for a three hour celebration at West Hollywood's Whisky a Go Go on Sunset Blvd. They play for three hours, a mixture of classic covers and Springsteen originals. The song was performed with Stand And Deliver (an American cover band ) and Max Weinberg. A reader of Brucebase who was present comments : "Funny note the band never referred to Bruce by name I know they called him Mr Frank Sinatra once and I think Keith Richards (not a 100% on that one but pretty sure). What a night." Bruce doesn’t contribute vocals, only playing guitar. 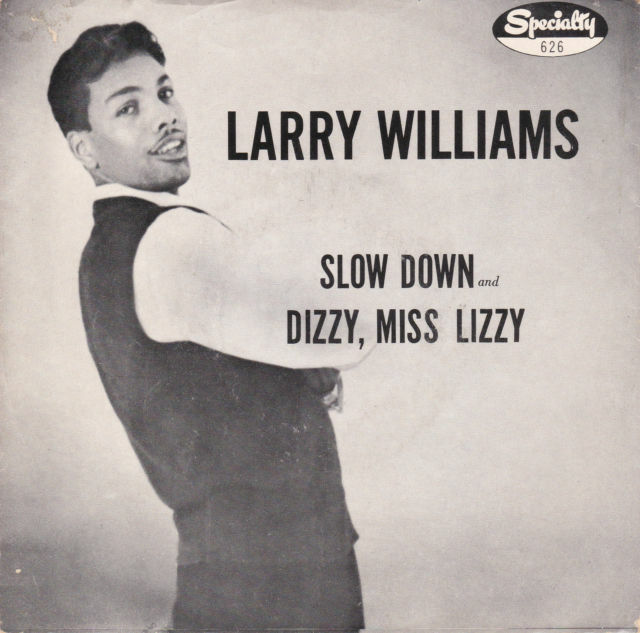 "Slow Down" is a 24-bar blues written and performed by Larry Williams. Released as a single in 1958, it was a rhythm and blues hit that influenced the growing rock & roll movement of the time. Both "Slow Down" and the single's flip-side,"Dizzy Miss Lizzy", were covered by the Beatles in 1964 and 1965, respectively. Won't you talk with me? Baby, what you're tryin' to do?